"I stepped onto the podium unfamiliar with how string players would respond to my various conducting gestures. Thankfully, I had Maestra Kim Diehnelt by my side to guide me! Maestra Diehnelt is an eccentric conductor, musician, and mentor, which added zest to my experience with the Northwest Symphony Orchestra. In and out of rehearsal, Kim helped me communicate music both orally and physically, broadening my mindset on conducting and musicality... My experience with the Maestra Diehnelt and the Northwest Symphony Orchestra is unforgettable in many ways and I am grateful to have been selected as the 2014 Paul Vermel Conductor Apprentice." 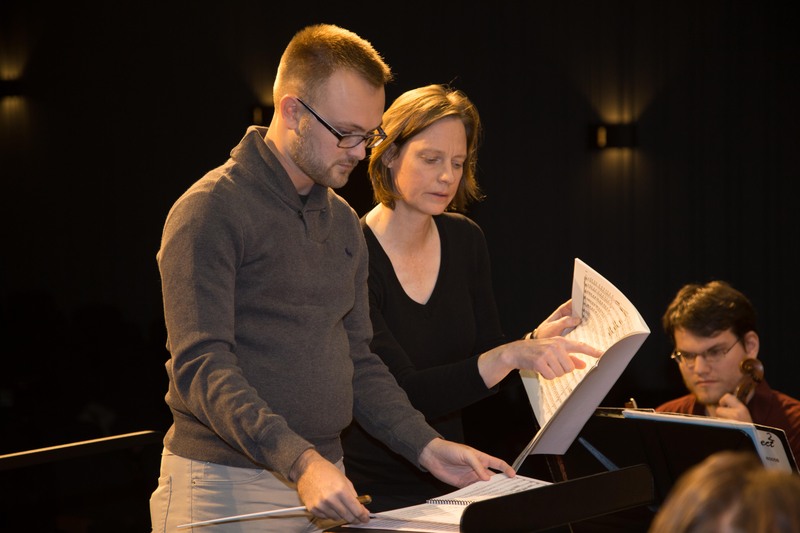 "I had the pleasure of working with Kim Diehnelt as her Assistant Conductor with the Northwest Symphony Orchestra. Under her mentorship, she helped me grow as a conductor, musician and composer. Kim’s musical knowledge demonstrated the culmination of her years dedicated to her craft as a conductor and composer. I always learned something new from her, and always felt the sense of growth and improvement every time I worked with her. Kim is a natural mentor and has a passion for helping other and helping young musicians reach their full potential. I can never thank Kim enough for everything she has done to help me become the conductor I am today. I will always cherish the time being under her mentorship." 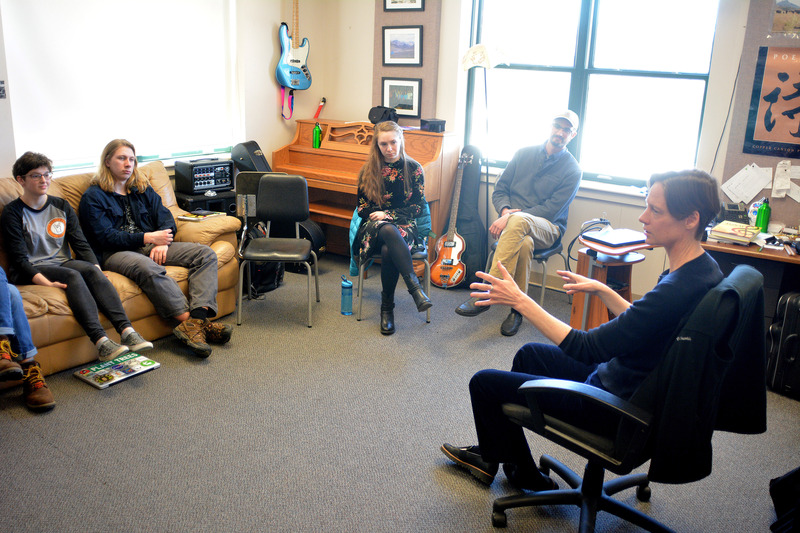 As the 2018 KISMET Foundation Artist-in-Residence, Kim Diehnelt visited the North Yarmouth Academy Theory Class for a mentoring session on composition.